Nowadays people spend more time on social media networks rather than traditional websites. Face to Face conversation has made a shift towards social networking ecosphere. Social media networking sites have also responded well to this demand of the people and thus making necessary updates to lure in more users to use their network. They are now offering programs on digital advertising which enables companies to promote their brands. Social media marketing is an essential tool for your business because with your social media pages, you can reach millions of people. You can spread your business globally and you can easily connect your brand or products with different countries of the world that too by spending nominally. So, to establish your business in the global market, social media marketing is the best tool for your business. It provides you the with the edge you need over your competitors. These sites provide things like “promoted products suite,” “contextual,” “sponsored stories” and promotional videos in various websites. These are like the new advertising options with interactive features which impacts the minds of their onlookers without affecting the flow of their social networking user experience. All platforms have their unique process for a customized approach. Choosing one can be confusing as every platform gives a ton of new features as compared to other. Tweeting and corporate blogging are the most popular tools nowadays in social media marketing. Apart from that, opting Facebook marketing or generating flyers through WhatsApp can also build your brand. What are the advantages of social media marketing? Most of the marketers now prefer social media for marketing, but among them, most of them are also confused about choosing the right platform. Before choosing any platform for your marketing, you need to check their popularity, and then you must check the responses of the viewers for your particular products on the same platform. Marketing and advertising through social media can increase a business’s or brand’s visibility. Implementing a strategy that uses social media for marketing can help in improving the brand recognition as the industry is being introduced or promoted to a vast array of customers. You can select a particular segment and your advertisement will be visible to them. The first step is creating profiles in social media networks for the business and beginning interaction with others. Do not use your personal social media profile for your business because it will reflect a negative impact on your business. Next step is to get the company’s employees, sponsors and partners to like as well as share the page. Also, people interacting with the content can help in building a reputation and increase awareness about the brand. You can share your new products on your social media, and your friends will spread the same with others. Through this way, you can reach maximum people without any problem. Social media marketing can also increase site traffic for a business’s website and make your site visible higher in search results. SEO is critical in the process of obtaining higher rankings in search results. Marketing through social media may not increase rankings directly, but it can also improve your brand reputation as well. So, it implies that they indirectly affect the search result rankings. A high quality, valuable and informative content if marketed through social media can increase the chances of getting good rankings on search engines. But in this case, you need to spread the content with targeted keywords. Contents like blogs, case studies, infographics, business information, and photos can make a social media profile of a business. Most importantly through social media marketing, the business comes in sight of industry influencer who write reviews about the brand or company and provides backlinks that can help in increasing search engine rankings. Apart from that, you will get the instant feedback of your products and services through social media marketing, and you can also conduct a survey on social media to improve your brand. With improved rankings in search results due the content you share on social media, will result into higher conversion rates. With improved search result your site will appear in the first pages of search engine which will create a tendency of getting higher clicks from a potential customer and thus you can enable yourself for business and thus more profit and brand awareness. A good strategy about social media marketing can produce a positive discussion about the business, brand, and partners. 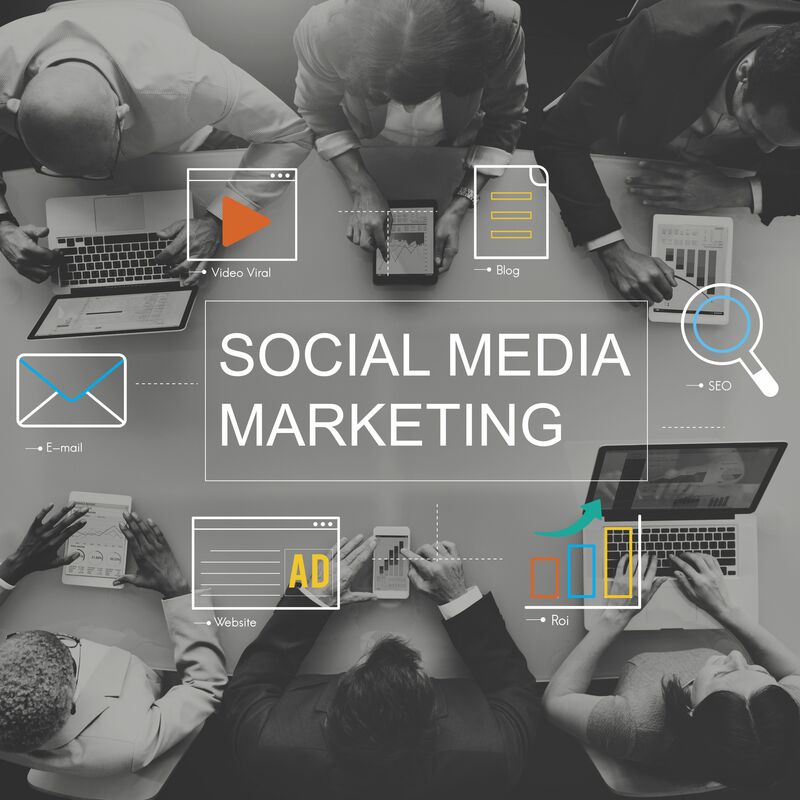 One can always avail the services of social media marketing leaders such as Supple, which will help you out through the process of any social media campaigning. These companies master in the art of targeting audience and provide them with the rich content they need and thus making your business prosper more. Mike Warner, an experienced and professional blogger. I love to write blog on various topics, like: automotive, business, home improvement, technology, pet, health etc.